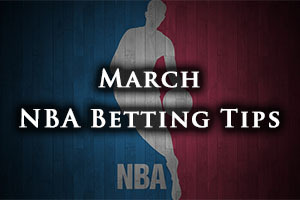 There is a good selection of games to look out for in the NBA on Sunday and there are plenty of games to recap from Saturday, which is where we start. The Pelicans won in New Orleans against the Grizzlies by a score of 95-89 while the Knicks were downed at home by the Pacers by a score of 86-92. The Cavaliers triumphed against the Suns, winning by a score of 89-79 in Cleveland while the Bucks defeated the Wizards at home, triumphing by 91-85. The Heat defeated the Kings by a score of 114-109 in Miami and the Hawks lost in Philadelphia, 92 to 84. The Timberwolves got the better of the Trail Blazers, winning by a score of 121-113 while the Nuggets lost at home to the Rockets, with the final score finishing 100-114. The Hornets have a 27-33 record so far this campaign and this includes a 12-17 record on the road. The Hornets have triumphed in their last four games and they hold a 5-5 record in their last ten games. The Pistons hold a 23-38 record this season and this includes a 12-20 record at home. The Pistons are on a five game losing streak and hold a 3-7 record in their last 10 games. For average points scored, the Pistons have the edge, 98.2 to 95.1 while for average points allowed, Charlotte has the advantage, 95.1 to 98.2. Charlotte’s last game was a Friday night win over the Raptors, triumphing 103-94 while the Pistons lost in Houston, 103-93 on Friday night. Kemba Walker will be absent for the rest of the season for Charlotte while the Pistons are monitoring Quincy Miller and Joel Anthony. Taking the Hornets with a +1 handicap, at odds of 1.90 is likely to be a good bet. Bet Now! The Jazz have transformed their defensive work since the All-Star break and they will be looking to give the Nets their third loss in a row. Both of these teams have a similar status this campaign but thanks to their position in the Eastern Conference, the Nets retain a chance of making the play-offs. However, they will need to bounce back from a 115-91 loss against the Hornets on Wednesday and a 108-100 overtime loss against the Suns on Friday night. The Jazz defeated the 76ers in Philadelphia on Friday, winning by 83-89. The Jazz have a 25-36 record, with a road record of 12-20 while the Nets have a 25-35 record, which includes an 11-17 record at home. The Jazz have a 7-3 record in their last 10 games and the Nets have a 4-6 record over the same time frame. For average points allowed, the Nets have a 96.5 to 95.2 record while for average points allowed, the Jazz has an advantage by 96.2 to 99.8. There are no injury concerns for either team and taking the Jazz with a +2 handicap, at odds of 1.90, is likely to be a sound bet. Bet Now! Russell Westbrook is on a spectacular scoring run at the moment and most of the focus will fall on him to see if he can maintain this run of form against the Raptors. The Raptors have a 38-24 record at the moment which includes a 17-13 record on the road. The Thunder hold a 34-28 record, which includes a 20-8 record at home. Both teams come into this game on the back of a defeat, the Raptors having lost at Charlotte on Friday, 103-94 while the Thunder lost in Chicago on Thursday by a score of 108-105. The Raptors have a 3-7 record in their last 10 games while the Thunder have a 7-3 record in their last 10 games. For average points scored, the Raptors have the edge by 104.4 to 102.2 and for average points allowed, the Thunder has an advantage of 99.5 to 100.9. Taking the Thunder at -7, at odds of 1.90, is likely to be a sensible bet for Sunday. Bet Now!